(Don't forget all my ideas are based on good or better going and this is the second race at the meeting so look at the first race before making a bet). This race is very poor even for a class five race. Three possible known front runners: Sunrise Dance, Classy Lassy and Balinka and if any of them get an easy uncontested lead they might pinch the race from the front. If the race pans out, the hold up horse DARTRIX (11/1) may be the one to pick up the leaders and could make an each way bet. 5:00 Nottingham - This race has five horses that have been known to lead: Moorhouse Lad fifth top rated, Emjayem, third top rated, Dawn Catcher, fourth top rated, West Coast Dream and Poyle Vinnie, who hasnt got much form to work on so could be a hidden danger. My second top rated is Tyfos, who usually tracks the leaders and my top rated is Irish Boy. It is priced at 25/1 so it might need the run after having been off for 224 days. All in all it looks a tricky race so maybe best left alone. 5:45 Warwick - Has got two known pace setters: Rat Catcher and Divertimento. I doubt if either is good enough to win this race if others run to their best form. Mambo Spirit is my second top rated and can track the leaders or be held up. My top rated owes us money after being ridden badly last time out! BELLE BAYARDO is a hold up type and has a decent chance here to put things right. The only drawback is that the horse hasn't won for two years so at the price (7/1) it has to be an each way bet. 6:45 Warwick - Has got two horses that have been known to lead: Salvado, who could be a hidden danger in the field so cant be written off as this is its first run in england, and Daylight, who is my third top rated so could be hard to catch. My fourth top rated Tidal's Baby is a hold up type. The second top rated is Sole Danser, who can be held up or track the leaders. Top rated GENERALYSE likes to track the leaders. It had its comeback run ten days ago on unsuitable soft ground but hopefully that has blown away the cobwebs. It is priced at 20/1 so may need another race to gain fitness but hopefully a small each way bet may show us a profit if the bookies have got it wrong. There is another sprint today 2:40 Bath which I'm leaving alone and any other at this distance. The actual distance is five furlongs and 161 yards so just over five and a half furlongs. 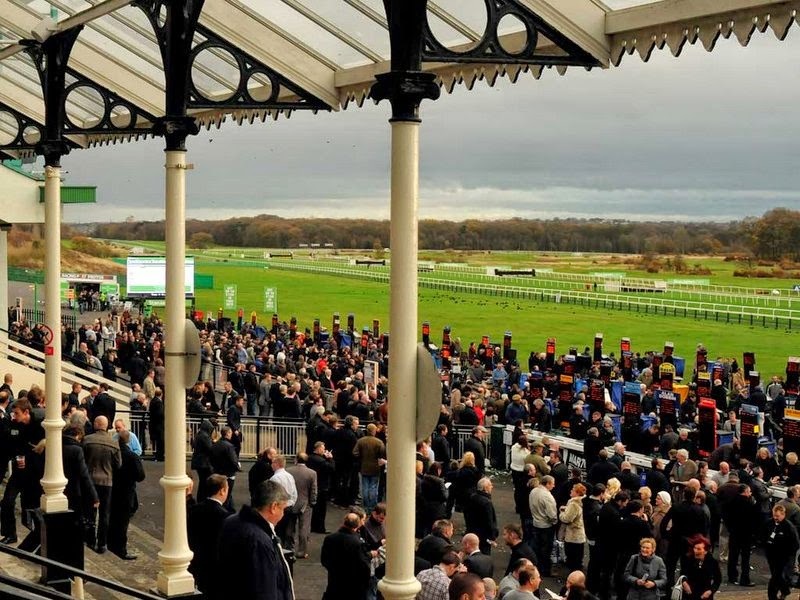 There are not many races run over this distance and it's hard to know if you want a strong finishing five furlong horse or a weak finishing six furlong horse. I don't know the answers so best just leave them all alone. SUMMARY: 2:50 Newcastle - A small each way bet on DARTRIX could be profitable but keep stakes to a minimum. 5:00 Nottingham - Top Rated Irish Boy may need the run and the bookies think so as well. I'll leave this race alone. 5:45 Warwick - I'm hoping to get our money back from its last run and BELLE BAYARDO at 7/1 will be my main bet of the day but even then I won't be going in very heavily. 6:45 Warwick - The top rated is GENERALYSE. I'm hopeful this one is fit after its comeback run and I'll be having a small each way bet in anticipation. It doesn't look like a day to get too involved so keep stakes to a minimum and wait for better chances.